Hi everyone! First I want to say HaPpY VaLeNtInEs DaY!! Isn't it awesome that it falls on a Friday this year?! We have decided to cancel our reservations and do dinner at home while watching House of Cards season 2 #nerdalert ...yes we will probably watch the whole season...but I am A ok with that! Today I'm over at It's Overflowing for our house tour! A big thanks to Aimee for asking to include our home! If you are visiting Confetti & Stripes for the first time I'm glad you're here and hope you will come back often. 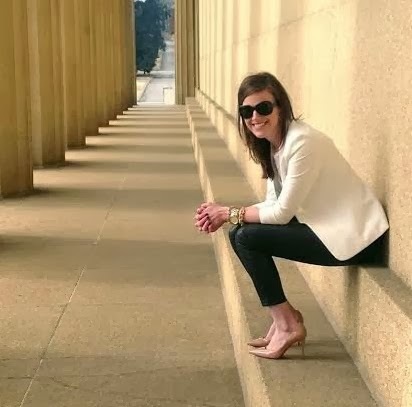 Feel free to also follow along on Facebook, Instagram, & Pinterest! 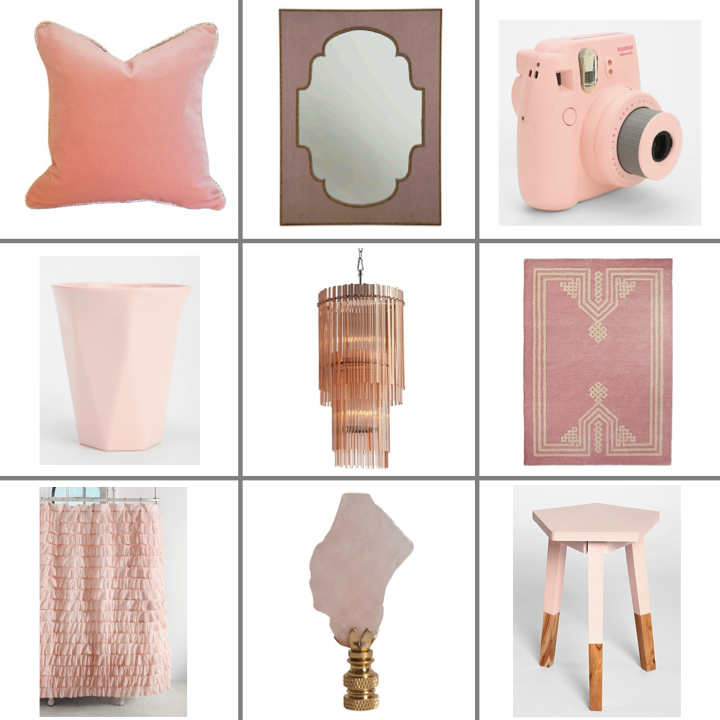 I have mentioned several times lately how I'm kind of obsessed with blush pink. Who knows maybe it Valentines and dying for spring to get here that has made me love it more. Some fun finds to bring the color into your home that aren't too permanent!